Why Add Ground Covering Plants to Your Garden? Any gardener will tell you to never leave your soil bare. Leaving patches of your garden exposed can result in a weed invasion. Once a nasty weed settles in, it can spread to other areas of your garden. Ground covering plants are ideal to fill those awkward patches in your garden to prevent weeds. Ground covering plants can also help to create some balance and contrast in your lawn. Most types of grass are uniform in colour and texture, so some extra plants can help you garden really pop! When most people consider succulents, they only think of pot plants. However, many varieties of succulents can be used as low maintenance ground covers. Succulents are happy to grow alongside most varieties of grass, including Buffalo turf and Kikuyu grass. Blue Chalksticks is one of the most popular succulents for backyards and public areas. With its gorgeous colour, it creates a striking backdrop for any garden. While succulents remain an unconventional choice, gardeners are becoming increasingly aware of the benefits of using these plants for ground covers. Combining your turf with ground covering plants is an easy way to add some colour to your garden. 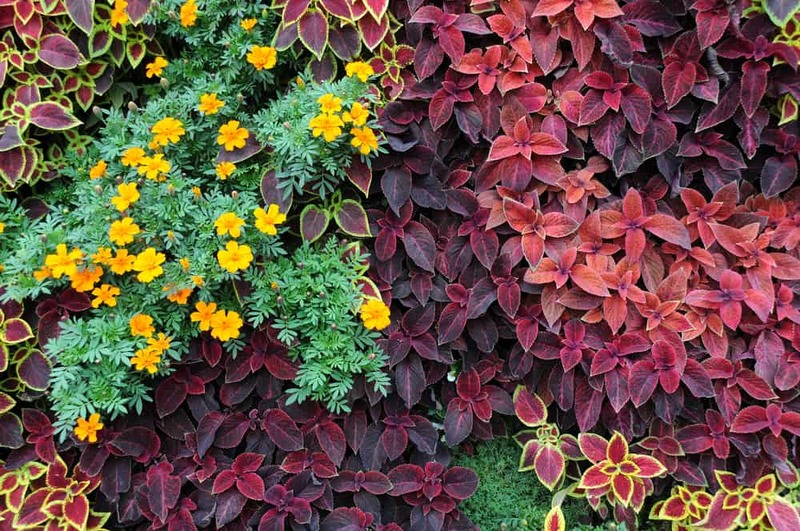 While growing a flower garden can quickly become a complicated task, there are many flowering varieties of ground covers that require little maintenance. Available in a range of different colours, Agapanthus remains one of Australia’s favourite flowering plants. Though they require a little more attention, Gardenias are a great choice for those looking to add some delicate beauty to their gardens. The NSW climate can be unpredictable, so it can be a good idea to choose ground covers that can stand up to all conditions. Many ground covers that are popular in more temperate climates will not thrive in Australia. For something tough, try the Grevillea Bronze Rambler, Climbing Guinea Flower or Hardenbergia Violacea. It’s a good idea to combine your ground covering plants with a hardy grass type such as the Conquest couch turf or Sapphire buffalo. If you need help choosing the best turf to combine with your ground covering plants, it’s a good idea to turn to the experts. At Hi-Quality Turf, our turf contractors are more than happy to help you achieve your dream garden. Contact us and call 1800887258.